Rights activists say Russia is using "punitive psychiatry" to put pressure on political prisoners. 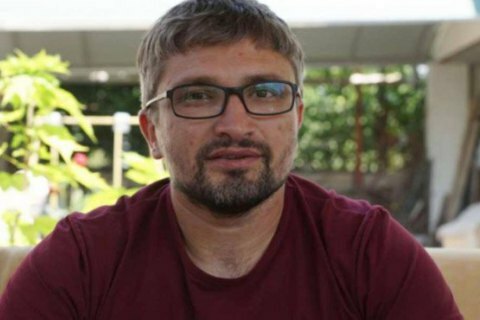 Blogger and civil activist Nariman Memedinov, who was arrested in Russia-annexed Crimea on suspicion of terrorism propaganda, has been placed in a mental facility, Crimean Solidarity NGO has said quoting lawyer Emil Kurbedinov as saying, according to Censor.net. "Without a court ruling, based only on an investigator's resolution, civil journalist and activist Nariman Memedinov was placed in a psychiatric hospital for a 20-day 'examination' on 28 June 2018," Kurbedinov said. "Lately, along with certain actions accompanying the 'criminal cases' on 'terrorism' and 'extremism', we are observing one more way to put pressure on political prisoners, which is 'punitive psychiatry'," he said. According to Kurbedinov, placing the mentally sound person in a facility is a blatant violation of his client's rights and pressure on him over his principled position. "Earlier, Ilmi Umerov, Enver Mamutov, Seyran Saliyev and other groundlessly detained Crimean Tatar Muslims were subjected to the same test," Crimean Solidarity NGO said. On 15 May, Memedinov's arrest was extended until 15 August.